Once you have connected your CustomerHub to your Infusionsoft / Keap API you're now ready to implement a campaign so you can add new members to CustomerHub. 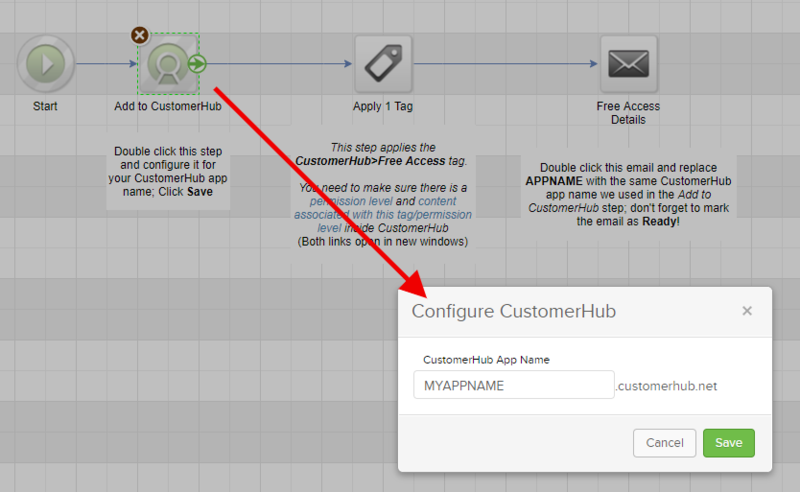 To integrate Infusionsoft or Keap with CustomerHub, simply requires a campaign. This campaign is typically triggered when a customer buys something, signs up through a form, gets a tag applied, etc. You can install one of our premade campaigns to quickly get started. Click here to install a campaign from the Keap Marketplace. Replace "MYAPPNAME" with your CustomerHub account name. Keap will only support the HTTP post method to add contacts to CustomerHub. Click here to install this campaign from the Keap Marketplace. Once this campaign is installed check out this article for more help.